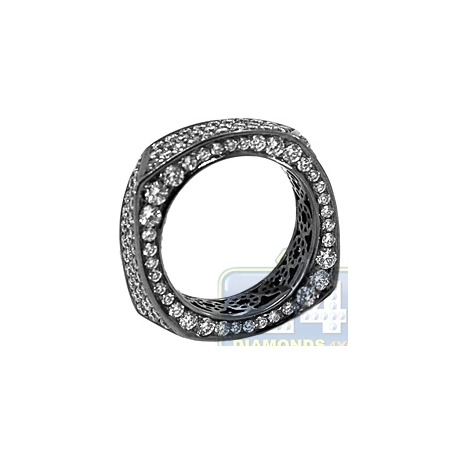 For a woman who isn't shy about her love for glamour things in life, our 18k gold eternity ring features completely encrusted with diamonds design that has 3.33 carat round cut diamonds of the natural origin. 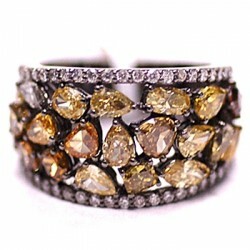 Each brilliant is perfectly eye clean and sparkling, handpicked to match with G-H color and VS1-VS2 clarity. 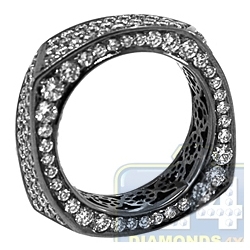 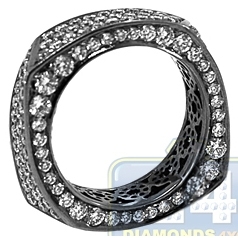 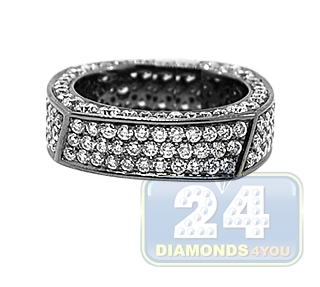 The vivid shine of white diamonds & black PVD finish gives this jewel absolutely stunning effect!